Give delegates at Design Indaba the chance to experience the wonder of creativity. 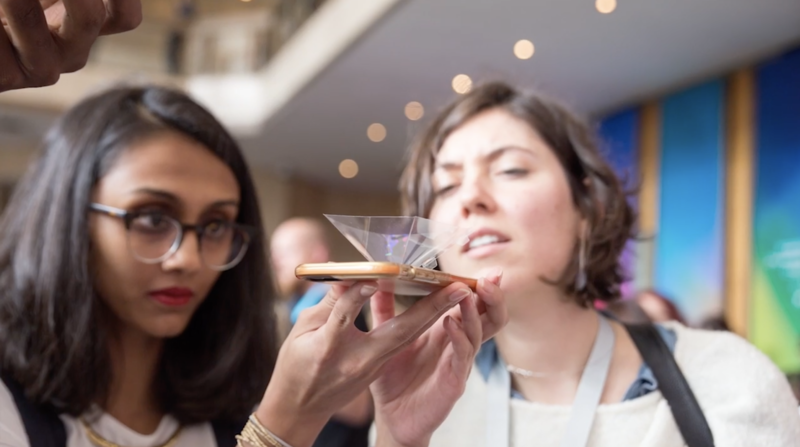 We created an interactive flyer that transforms delegates’ smartphones into hologram viewers. Each flyer contained a viewing prism that delegates could use, with their smartphones, to experience a bespoke holographic animation. The holographic story unfolded over three days and uses light as a central character to bring the creative process to life - how an idea is born from a spark, evolves with colour and movement, and develops into something vibrant and extraordinary.